Sonia advanced into the pre-quarterfinals of the competition after defeating Toujani Doaa of Morocco on Saturday. 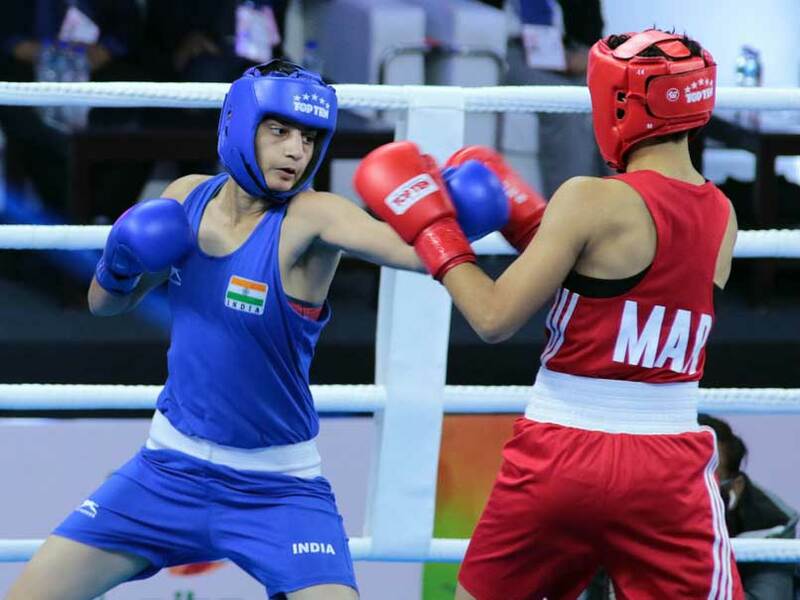 Indian boxer Sonia on Saturday cruised into the pre-quarterfinals of the AIBA Women's World Boxing Championships being held at the Indira Gandhi Sports Complex in New Delhi. On day three of the tournament, Sonia defeated Toujani Doaa of Morocco 5-0 in the 57 kg Women's Featherweight category. The 21-year-old advanced into the second round of the competition after receiving a bye in her first match. Sonia dominated her Moroccan opponent in the second match and was declared winner in a unanimous verdict. Sonia, who is being termed as one of the gold medal prospects in the 57-kg Fomen's Featherweight category, won a silver medal in the 2016 edition of the championship. The Haryana girl is also a two-time silver medallist at the Asian Amateur Boxing Championships. On Day 2 of the competition, boxer Manisha Moun defeated Christina Cruz of the US to progress to the pre-quarterfinals of the 54 kg weight category. Moun, who is competing in the World Championships for the first time, defeated her American counterpart (a two-time World bronze medallist) through a unanimous decision (29-28, 30-27, 30-26, 30-26, 29-28). "I am very proud of winning my first bout in the World Championships. I have proved that I can be at this stage. I will give my best and see how far I can go. I am confident of doing well in the coming rounds," said Manisha after her first-round win. 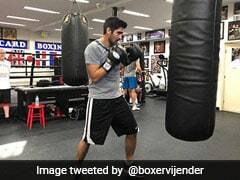 Along with Moun, veteran Indian boxer Sarita Devi also advanced into the last 16 of the tournament with a comfortable win over Sandra Diana Brugger of Switzerland in the 60kg lightweight category. Five-time World champion MC Mary Kom will also be in action at the AIBA Women's World Boxing Championships in the 48 kg weight category.